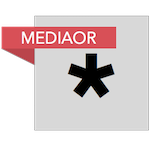 HeartMedia has entered into an agreement to acquire Jelli, Inc., the technology company that powers its SoundPoint programmatic platform. Jelli is programmatic platform for buying and selling audio advertising. Additionally, Expressway from Katz, the programmatic US ad exchange will continue to remain independently run by Katz, but powered by Jelli. Jelli’s current offerings include RadioSpot, the only programmatic platform for radio broadcasters to sell and manage their advertising inventory and SpotPlan, the first and only programmatic platform for radio, giving agencies and advertisers an automated way to plan and buy audio advertising and providing access to iHeartMedia as well as Expressway from Katz. As part of the acquisition, Jelli will continue to operate as a company within iHeartMedia, Inc. led by President and CEO Michael Dougherty and his team. The Jelli division will continue to be based in Silicon Valley and will become iHeartMedia’s primary ad technology operation. “Facebook and Google pioneered a new way for advertisers to interface with media partners to improve targetability, the ease of buying and measurement of results, and our programmatic platform puts us in the position to participate in the modern data driven ecosystem for our broadcast radio audience as well as our digital audiences,” said Brian Kaminsky, President of SmartAudio and Analytics Group for iHeartMedia. 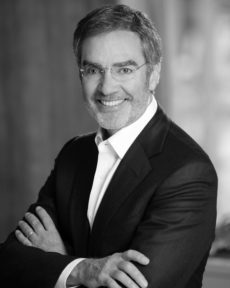 Bob Pittman, Chairman and CEO of iHeartMedia (pictured inset), added: “We are excited about having Jelli not only for the platforms they are creating and have created for us, but also to lead our aggressive and innovative ad tech development. At iHeart we believe marketing is both math and magic. “The math is our rich data and insights about our users and how they relate to our partners’ products and services and the magic is the incredible creative ideas we bring to our partners, such as our iconic music events, award shows, influencers, podcasts, social reach and our unique on air promotions. Michael Dougherty, co-founder and CEO of Jelli said: “By pairing iHeartMedia’s reach and multi-platform assets with our cloud-based advertising technology, we are positioned to provide a single platform for advertisers to reach all audiences, no matter where they are consuming audio.